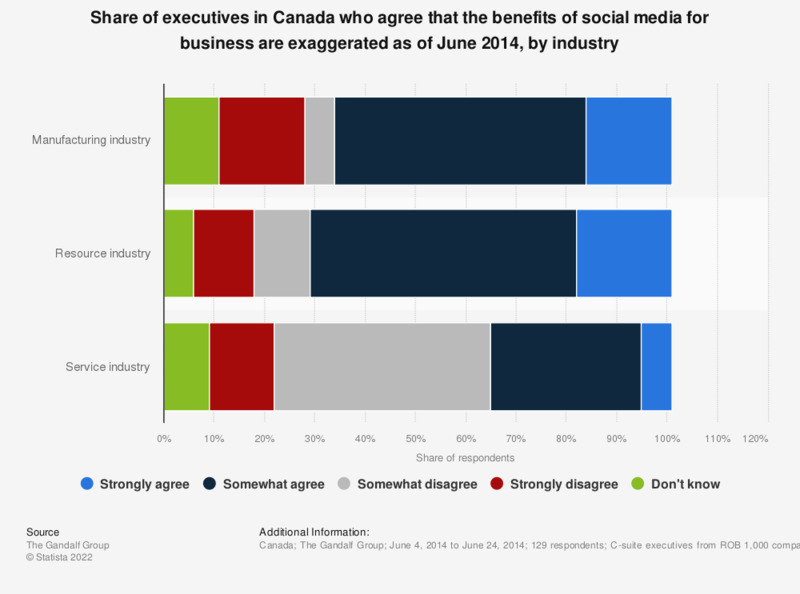 This statistic shows the responses to a survey about online and social media tools used in companies amongst C-suite executives in Canada as of June 2014, by industry. During the reported period, 43 percent of executives belonging to the services industry somewhat disagree that the benefit of social media for businesses is exaggerated. Question: Do you believe that the benefit of social media for business is exaggerated?